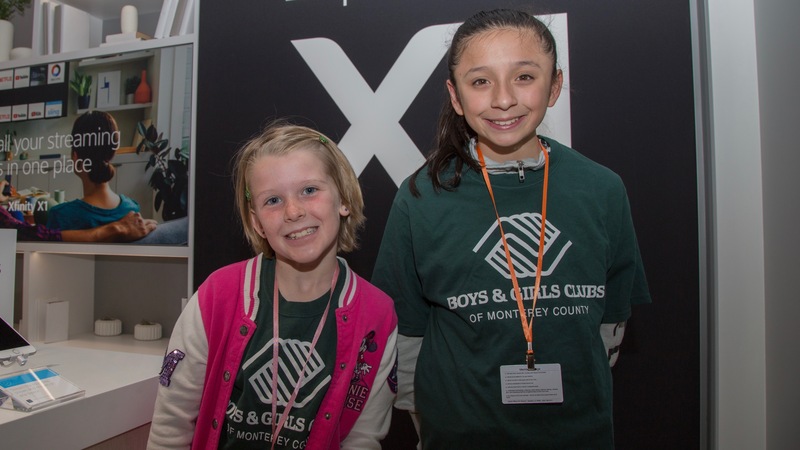 Comcast Foundation awards $14,000 to The Boys & Girls Clubs of Monterey County for My Future program, a program that provides members with a safe, fun digital platform to showcase their work and earn recognition in the form of stars, badges and master badges. It’s a space where kids can interact with each other – free from the prospect of cyberbullying – and share their accomplishments locally and nationally. The grant was presented last Saturday, January 26th during the grand opening festivities of the new Xfinity store in Salinas located at the Northridge Mall. The ceremony was attended for local leaders including Andrew Vie, Director of Operations for the Boys & Girls Clubs of Monterey County; Luis Alejo, Monterey County Supervisor; and Roxanne Noble Boss, Director of Membership for the Salinas Chamber of Commerce, among others. Over 400 people gathered to celebrate the opening of the new 4,200 square-foot store that will employ 15 staff. The Latino themed celebration included refreshments, Mariachi music, raffles, giveaways and a meet & greet with radio personality and Salinas native, Alex “El Genio” Lucas who’s syndicated radio show airs nationally.